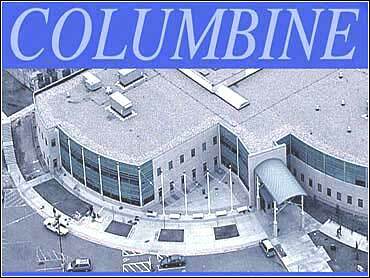 A federal judge Tuesday dismissed most lawsuits filed against police and all claims against a school district by victims and relatives of people killed and injured at the 1999 Columbine High School shooting, lawyers said. U.S. District Judge Lewis Babcock said the lawsuits against the Jefferson County Sheriff's office and the Jefferson County School District could not stand because the two entities' met the claim of government immunity. "The sheriff defendants were confronted with an unprecedented and rapidly evolving violent situation," Babcock wrote. "Holding police officers liable in hindsight for every injurious consequence of their actions would paralyze the functions of law enforcement." he wrote in another of the nine decisions. But the judge would not dismiss one case against the sheriff's office filed by the family of teacher Dave Sanders, who bled to death while awaiting rescue. The family claimed police gave "repeated false assurances that help would be there in 10 minutes" to teachers over the telephone who were rendering aid to the stricken teacher. The judge agreed, saying police prevented paramedics from going to Sanders' aid even though they knew his location, that he was in serious condition and that Klebold and Harris were already dead hours before the SWAT team finally reached Sanders. "By 4 p.m., Dave Sanders' heretofore survivable wounds had become fatal and he died," the judge said. Telephone messages seeking comment from the sheriff's office and school district officials were not immediately returned. Eric Harris and Dylan Klebold shot and killed 12 students and a teacher and wounded more than two dozen others before taking their own lives on April 20, 1999, at the high school near Littleton. The victims' relatives and survivors alleged the sheriff's office failed to investigate alleged threats and crimes by the two gunmen a year before the rampage and botched their response. Babcock's decision came on motions to dismiss filed by the sheriff's department and school officials. Lawsuits against the parents of the two gunmen and friends who helped them get their weapons have already been settled.